Policy in Practice’s latest analysis shows that 1 in 7 low-income Londoners can’t make ends meet. Their analysis of 550,000 low-income London households finds a 21% rise in low-income Londoners facing a cash shortfall since 2016. The number of families who are struggling is expected to triple by 2020. This research was supported by a Trust for London grant. It has been extended for a further eighteen months and will track the impact of Universal Credit as it rolls out across the capital. Future analysis will include a public facing dashboard on the impacts of welfare reform, and analysis as requested by participating authorities. 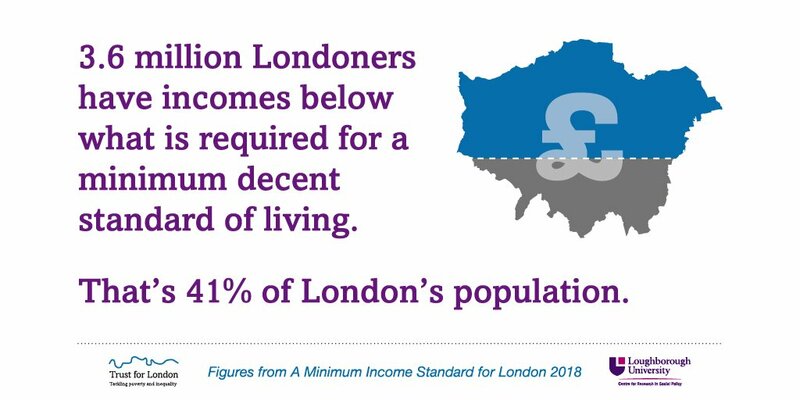 With welfare reform, rising living costs, job insecurity and the roll-out of Universal Credit, it is a time of real change for low income Londoners. The response from policymakers needs to be right if we are to prevent many thousands of people from being pushed into real financial hardship because of the changes.